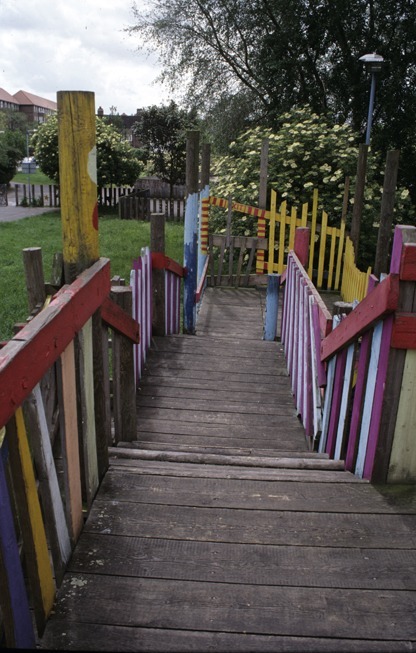 Hackney Marsh Adventure Playground was set up in the early 1960s by the Greater London Council. It was built on marshland and is surrounded by social housing. The exisiting structures are from the 1990s: kids drew up designs and helped build the playground using recycled timber and telegraph poles.